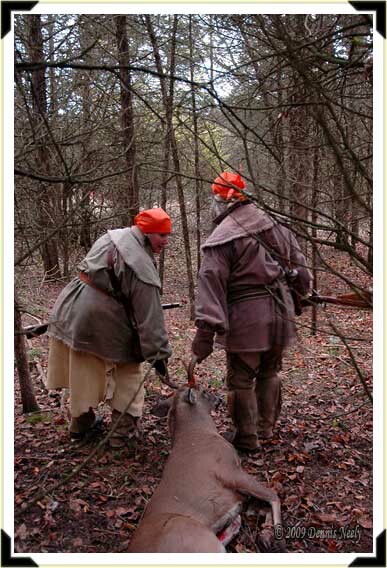 A Lady of the Forest glanced back at a fine white-tailed buck as she and her husband drag it from the woods. Ten years whisked by so fast…Old Northwest Territory, in the Year of our Lord, 1794. This entry was posted in Uncategorized and tagged Black powder hunting, Dennis Neely, National Muzzle Loading Rifle Association, North West trade gun, Northwest trade gun, trade gun, traditional black powder, traditional black powder hunting, traditional blackpowder, traditional blackpowder hunting, Traditional Woodsman. Bookmark the permalink.